Odisha Board 12th Result 2019- Council of Higher Secondary Education (CHSE), Odisha will announce the Odisha 12th result in the 2nd week of May 2019. Students would be able to check the result on the official website of Board, orissaresults.nic.in. Candidates should have their 12th board roll number and registration number in order to access Odisha 12th result online. Odisha board Class 12Examination 2019 is schedule to be conducted from 07 March to 30 March 2019. The Odisha 12th result for science, arts and commerce streams will be announce on different dates. A direct link to access the Odisha board 12th result 2019 will be provide below for easy access of the candidates. In 2018, the Odisha HSC result was declared on 19 May 2019 and the examinations were held from 06 March to 28 March 2018. A total of 3.80 lakh students from 1,504 schools in Science, Arts, Commerce and Vocational education streams appeared for the Odisha board plus two examinations, conducted in 1,106 exam centres across the state. 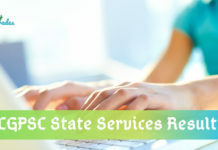 How to Check Odisha Board 12th Result 2019 Online? Click the above-given link or visit the official website of Odisha board result, orissaresults.nic.in. The Odisha board result will contain the subject-wise scores of the candidates and their pass and fail status. Candidates can also check the Odisha board result 2019 by using the SMS facility. Students have to type RESULTOR12<space>Roll Number and send it to 56263. In 2017, a total number of 3,80,707 students appeared for Odisha Plus two Examination. The overall pass percentage was 81.11%. The girls had surpassed the boys with 82.36% over 80.29%. According to a local media report, the pass percentage for Commerce was 71.43% and for Arts was 70.17%. The report further stated that the highest pass percentage was recorded in Puri district of 82.78% while the lowest pass percentage was at Koraput division (48.08%). The Council of Higher Secondary Education, Odisha (CHSE) was formed under Odisha Higher Secondary Education Act 1982. The board operates from its Samantapur, Bhubaneswar campus popularly known as Prajnapitha, since 02 January 1996. The CHSE Board regulates and standardizes the education system in the state. 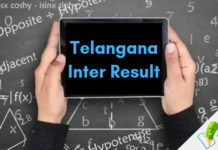 Stay Connected With StudyGrades for Latest Board Result News!